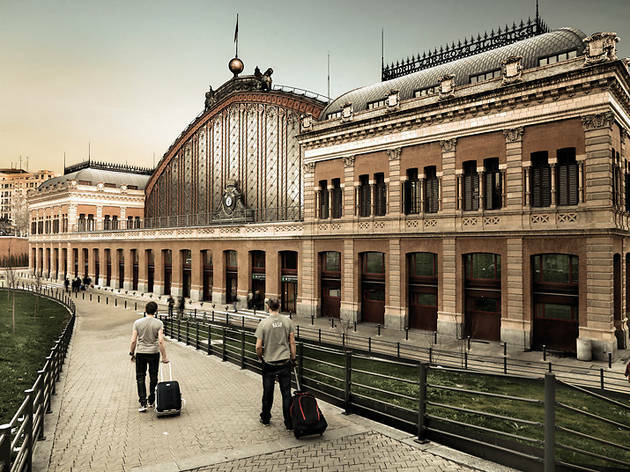 Madrid's classic wrought-iron and glass main rail station was built in 1888-92, to a design by Alberto del Palacio. It remained much the same, gathering a coating of soot, until the 1980s, when Rafael Moneo - he of the Museo Thyssen - gave it a complete renovation in preparation for Spain's golden year of 1992. 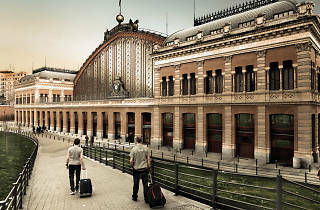 Entirely new sections were added for the AVE high-speed train to Andalucia and the cercanías local rail network, and an indoor tropical garden was installed, in an imaginative blend of old and new. Inevitably the memory of the terrorist attack of March 11, 2004 lives on here. There is a monument, which is open to visits from 10am to 8pm and can be accessed from the local train network station, consisting of a glass dome with emotive phrases left by citizens during those tragic days.